17 Where Are The Bumper Boats In Salmon Arm, B.C., Baby? 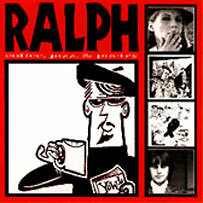 Includes "Chet Baker's Cigarette" which received some college play, plus a cover of the Kinks "Ring The Bells"
The 1st Ralph CD, Coffee, Jazz & Poetry, made the Top 20 on the Chart magazine college chart. The CD is 70 minutes and 41 tracks of jazz, lounge, poetry and stuff! It has garnered a lot of reviews from many college zines as well as a devoted following of beat-sters. The CD was recorded and mixed in two days from start to finish, mirroring the old 50's-60's recording ethos.